Get some things organized in your house with a new labeler! 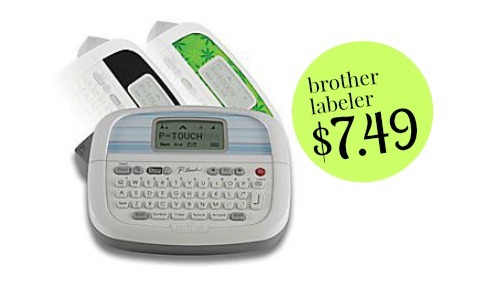 Office Depot/Max is currently offering the Brother P-Touch Handheld Labeler for $9.99 (reg. $29.99). Plus, when you use code 35827490 at checkout, you’ll get an additional 25% off your purchase, making the total $7.49! Plus, you can choose FREE in-store pick-up to avoid shipping costs. This deal is valid through 2/14.